Fig. 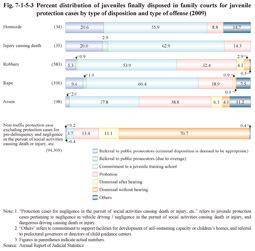 7-1-5-3 shows the percent distribution of juveniles finally disposed in family courts for juvenile protection cases involving serious offenses by type of disposition in 2009. 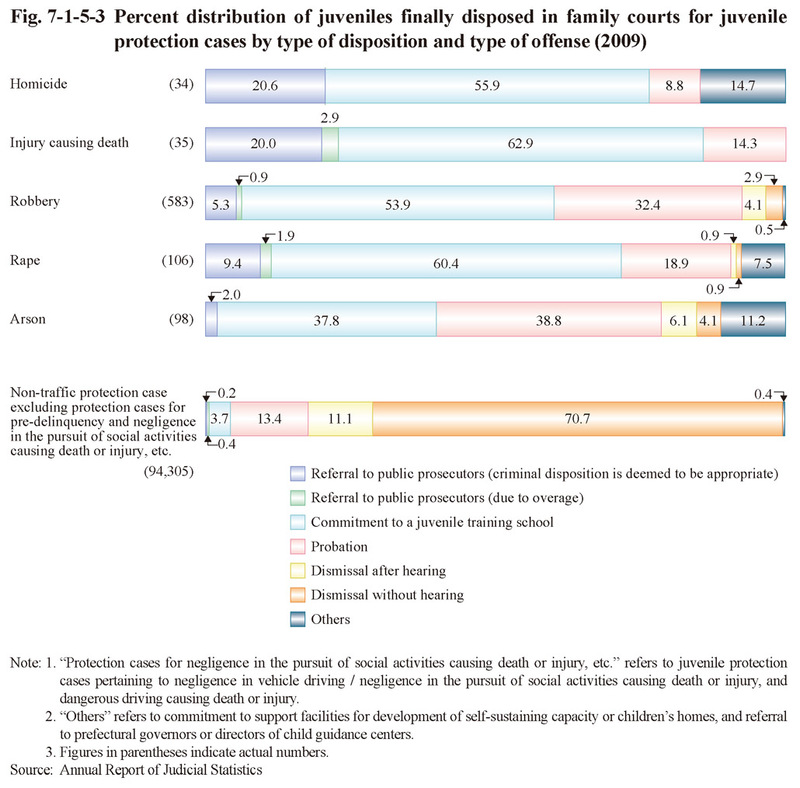 Of all non-traffic protection cases (juvenile protection cases excluding those pertaining to violations of road traffic related acts), but excluding protection cases for pre-delinquency and negligence in the pursuit of social activities causing death or injury, etc., dismissal without or after a hearing accounted for over 70%, and commitment to a juvenile training school only 3.7%. In contrast to that, of juvenile protection cases involving serious offenses, commitment to a juvenile training school accounted for approximately 40% for arson and over 50% for other types of delinquencies, with referral to public prosecutors due to their criminal disposition being deemed appropriate also accounting for a quite high percentage.